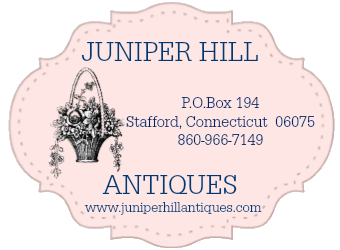 Juniper Hill Antiques will not be responsible for damage occurring to a bed due to an oversized mattress and box spring. What is a "Standard Box Spring and Mattress?" What type of mattress and box spring will I need for my vintage bed? What Kind of Mattress Should I Use on My Vintage Bed? If you love Romantic Victorian Furniture, Vintage Distressed White Furniture, Simple Beach Cottage Furnishings, or Romantic Cottage Decor, Welcome! Our furniture is perfect for Children's Bedrooms , or to enhance your eclectic English Cottage Home.